My Mom loves flowers, garden and vintage. Lately she had her B-day and I made for her some home decorations. 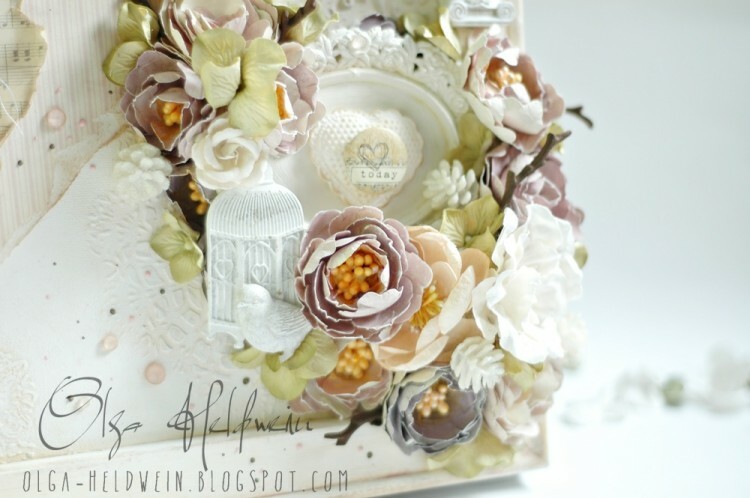 I made flowers for them using magnolia die, added a big ceramic photo frame and some media. 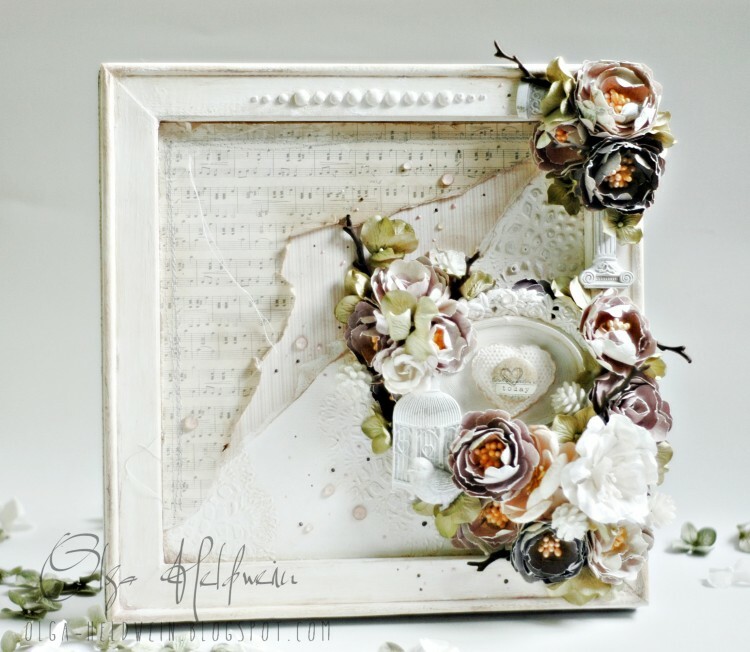 These are so beautiful – wonderful natural colours against the romantic pale shabby chic backgrounds… love all that ripped and rolled music – stunning! Thank you for the inspiration.